Concurrent competitions among the industries and the rise in automation has empowered the telecom industry to revolutionize. The telecom organizations are gradually migrating from a product centric approach towards a customer centric approach. In order to foster deep customer relationships and insights, service providers have leveraged the power of digitization and automation to centralize the customer end to end order management systems. The next gen telecom order management has not only been effective in improving the supply chain of business process but also enables a reliable cross channel ordering. On adoption, it reduces the dependency on manual process testing, coordination across the systems and organization and also optimizes the complexity in order fulfillment processes. Hence, the effective applications of the telecom order management solution have fueled the growth of the market. The telecom order management market was valued at US$ 1961.49 Mn in 2017 is expected to reach US$ 3230.20 Mn by 2022. The service providers communication and business process are concentrated for fulfilling service requirement coupled with cross sell and up sell to each customer. Hence, to deploy their services, different processes, coordination and execution are designed. While executing such complex convergent services, inability and delay in fulfilling the orders increases. The telecom order fulfillment is a beneficial automated solution that deliver high value set of offers, products in or more revenue streams. On adoption of such solution, it enabled the providers to cross and up sell their products easily. Real time visibility into orders across the supply networks and personalization of service delivery are the other driving applications of the solution that surges the telecom order management market to grow. The order management systems vary depending on the business operation types. Therefore, inefficient systems and fragmented systems can impose inefficiency to provide seamless and manage cross channel orders by the operators. The rise in complex sub process along with multifaceted and customized orders has enabled the development of integrated workflow tracking order fulfillment, which can manage and handle single as well as group product orders in an immediate provisioning. The order life cycle management application type of market encompasses the process of order to cash integration, multi-channel order aggregation, visibility to inventory, fulfillment of billing order accounts and capture of customer order. Hence, owing to these complete encapsulated features of order life cycle management, application type is gaining attraction at a rapid pace and thus, order life cycle management type dominates the application segment amongst order establishment, order publication, order orchestration, order distribution, order tracking and management application. 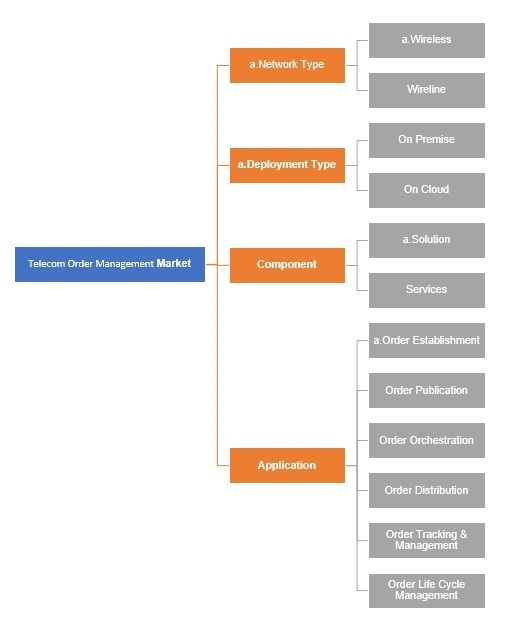 The telecom order management vendors are majorly located in the North America region as compared to the others. 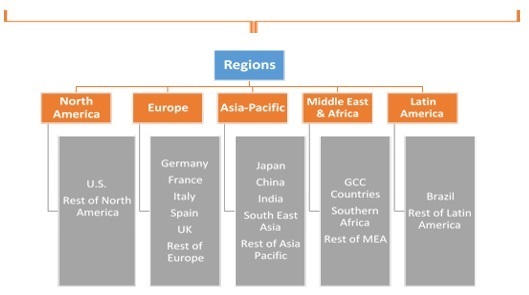 Further, the rise in technology such as cloud, network connectivity and development of new products and service by the telecommunication service providers have boosted the North America region segment. 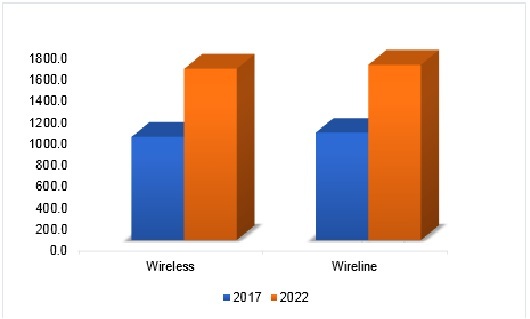 The telecom order management market report covers both, qualitative and quantitative research of the market, as well as include comprehensive insights and developments methods adopted by the key players. The report encompasses competitive detailed analysis of the key players which are driving the market. The key business strategies such as Mergers & Acquisitions, affiliations, collaborations, and contracts adopted by the major players are also recognized and analyzed in the report. For each company, the report recognizes their manufacturing base, competitors, product type, application and specification, pricing, and gross margin. Some of the primary market participants are IBM, oracle, Fujitsu, Cognizant, Ericsson, Cerllion, Chikpea Inc., Comarch, Dimension Data, Mphasis, Neustar and Pegasystems amongst others.